When you think of luxury yacht charters, what typically comes to mind is the million-dollar-a-week megayachts offering legions of crew, Cristal by the case and caviar by the gallon. But there’s another side to crewed charters — yachts costing less than €50k a week that offer all the advantages of a private customised trip and make the perfect vacation. 1. Nitsa Available for Christmas & New Years in the Bahamas, 28.96 metre Nitsa is perfect for sun worshippers this winter. This near-new Sunseeker was delivered in 2017 and can accommodate up to eight guests in four well-appointed cabins, including a split-level master suite with a king size bed and large dressing room. Make the most of her Caribbean cruising grounds up on the sun deck, which features a bar, spa pool, sun pads and casual al fresco dining, while additional sun pads on the foredeck make for the perfect sun lounging spot. For water babies, she is packed with water toys, including kayaks, paddleboards, inflatable water lounge pads, jet skis and seabobs. 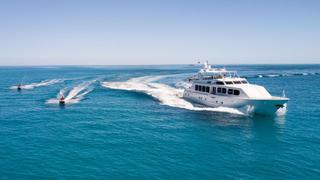 Nitsa is managed for charter by IYC, with a special introductory rate of $45,000 per week. When you think of luxury yacht charters, what typically comes to mind is the million-dollar-a-week megayachts offering legions of crew, Cristal by the case and caviar by the gallon. But there’s another side to crewed charters — yachts costing less than €50k a week that offer all the advantages of a private customised trip and make the perfect vacation. Available for Christmas & New Years in the Bahamas, 28.96 metre Nitsa is perfect for sun worshippers this winter. This near-new Sunseeker was delivered in 2017 and can accommodate up to eight guests in four well-appointed cabins, including a split-level master suite with a king size bed and large dressing room. Make the most of her Caribbean cruising grounds up on the sun deck, which features a bar, spa pool, sun pads and casual al fresco dining, while additional sun pads on the foredeck make for the perfect sun lounging spot. For water babies, she is packed with water toys, including kayaks, paddleboards, inflatable water lounge pads, jet skis and seabobs. Nitsa is managed for charter by IYC, with a special introductory rate of $45,000 per week. At 33.53 metres, Il Capo offers impressively spacious interiors that can host up to eight guests in four cabins, which includes a full-beam master suite with his and her's bathrooms. She was delivered by Broward Marine in 2004 and has recently undergone a major refit. On her sundeck there's a barbeque, Jacuzzi, sunpads, an al fresco dining area, a cocktail bar and plenty of additional seating, making her the perfect yacht for parties. There's an additional dining table on the lower deck with a bar and television nearby. Her expansive main saloon offers the perfect place for socialising, with lots of comfortable sofas, a drinks bar, cinema screen and large windows. Il Capo is managed for charter by Denison Yachting, she has a weekly charter rate starting from $45,000. At 33.53 metres, Il Capo offers impressively spacious interiors that can host up to eight guests in four cabins, which includes a full-beam master suite with his and her's bathrooms. She was delivered by Broward Marine in 2004 and has recently undergone a major refit. On her sundeck there's a barbeque, Jacuzzi, sunpads, an al fresco dining area, a cocktail bar and plenty of additional seating, making her the perfect yacht for parties. There's an additional dining table on the lower deck with a bar and television nearby. Her expansive main saloon offers the perfect place for socialising, with lots of comfortable sofas, a drinks bar, cinema screen and large windows. Il Capo is managed for charter by Denison Yachting, she has a weekly charter rate starting from $45,000. 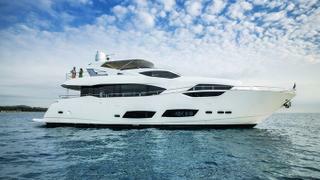 This stylish 26.49 metre Sunseeker lives up to her name and is available for charter in the Mediterranean this summer. Ideal for sun lovers she offers generous sunbathing areas and has a hydraulic swim platform which lowers in to the water for easy access. She has two stand up paddle boards, a Seabob and inflatables. Firecracker’s immaculate interior offers accommodation for up to eight guests in four cabins. She features a full width owner’s stateroom which has a separate seating area and a walk-in wardrobe. Firecracker is managed for charter by bluewater, she has a weekly charter rate starting from €43,000. As an added incentive a Mont Blanc travel bag is offered for any bookings longer than four days. 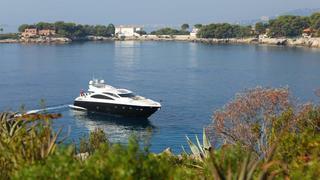 This stylish 26.49 metre Sunseeker lives up to her name and is available for charter in the Mediterranean this summer. Ideal for sun lovers she offers generous sunbathing areas and has a hydraulic swim platform which lowers in to the water for easy access. She has two stand up paddle boards, a Seabob and inflatables. Firecracker’s immaculate interior offers accommodation for up to eight guests in four cabins. She features a full width owner’s stateroom which has a separate seating area and a walk-in wardrobe. Firecracker is managed for charter by bluewater, she has a weekly charter rate starting from €43,000. As an added incentive a Mont Blanc travel bag is offered for any bookings longer than four days. The stunning 33.8 metre sailing yacht Unplugged is the perfect example of how you can enjoy the height of luxury on a smaller budget. Delivered by Cantiere Valdettaro in 1993 and refitted in 2014, she can sleep up to 10 guests five five cabins with a crew of six. On her spacious deck, there's plenty of spots to unwind, including comfortable loungers and a vast al fresco dining area for up to 12 people, while forward she boasts a plunge pool for guests to cool off in. Below deck, her open-plan main saloon has stunning compass rose designs set into the ceiling above a circular lounge with a study area tucked away to one side. Additionally, there is a small informal dining table with sofa seating. Unplugged is available for charter with Camper & Nicholsons and she has a weekly summer rate starting from €42,000. The stunning 33.8 metre sailing yacht Unplugged is the perfect example of how you can enjoy the height of luxury on a smaller budget. Delivered by Cantiere Valdettaro in 1993 and refitted in 2014, she can sleep up to 10 guests five five cabins with a crew of six. On her spacious deck, there's plenty of spots to unwind, including comfortable loungers and a vast al fresco dining area for up to 12 people, while forward she boasts a plunge pool for guests to cool off in. Below deck, her open-plan main saloon has stunning compass rose designs set into the ceiling above a circular lounge with a study area tucked away to one side. Additionally, there is a small informal dining table with sofa seating. 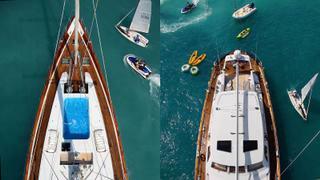 Unplugged is available for charter with Camper & Nicholsons and she has a weekly summer rate starting from €42,000. Head to sunny Spain for your next superyacht charter on board Harmony, a 32.2 metre luxury yacht that can sleep up to nine guests in four cabins. Delivered in 2002 by Horizon and refitted last year, guests will be catered to by a crew of five. Her large open-plan main saloon features a sleek lounge area complete with vast TV, bar and a dining area. Up on deck her spacious flybridge boasts a cocktail bar, sunpads, casual breakfast tables and a Jacuzzi, while the main deck aft boasts a comfortable al fresco dining area. Boasting Jet Ski training credentials, guests can obtain their licence in one hour. Harmony is managed for charter by Ocean Independence, she has a weekly rate starting from €47,000 in the low season and €55,000 in the high season. Head to sunny Spain for your next superyacht charter on board Harmony, a 32.2 metre luxury yacht that can sleep up to nine guests in four cabins. 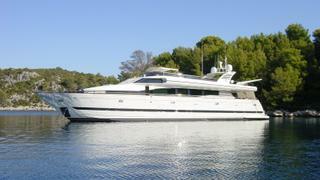 Delivered in 2002 by Horizon and refitted last year, guests will be catered to by a crew of five. Her large open-plan main saloon features a sleek lounge area complete with vast TV, bar and a dining area. Up on deck her spacious flybridge boasts a cocktail bar, sunpads, casual breakfast tables and a Jacuzzi, while the main deck aft boasts a comfortable al fresco dining area. Boasting Jet Ski training credentials, guests can obtain their licence in one hour. Harmony is managed for charter by Ocean Independence, she has a weekly rate starting from €47,000 in the low season and €55,000 in the high season. Relax in the sunshine on board 27.2 metre Vellmari for your next superyacht vacation with friends. Her deck boasts a Jacuzzi, sunpads, cocktail bar and al fresco dining table, making it the perfect spot for a party with friends. Additionally, she has a more formal dining area on the lower deck. Delivered by Dominator Yachts in 2006, she has an opulent interior designed in an Italian style that features an open-plan main saloon with vast sofas and a cocktail bar, as well as a separate dining room. Vellmari can sleep up to eight guests in four elegant cabins. Vellmari is managed for charter by bluewater, she has a weekly rate starting from €35,000 in the low season and €40,000 in the high season. Relax in the sunshine on board 27.2 metre Vellmari for your next superyacht vacation with friends. Her deck boasts a Jacuzzi, sunpads, cocktail bar and al fresco dining table, making it the perfect spot for a party with friends. Additionally, she has a more formal dining area on the lower deck. Delivered by Dominator Yachts in 2006, she has an opulent interior designed in an Italian style that features an open-plan main saloon with vast sofas and a cocktail bar, as well as a separate dining room. Vellmari can sleep up to eight guests in four elegant cabins. Vellmari is managed for charter by bluewater, she has a weekly rate starting from €35,000 in the low season and €40,000 in the high season. Discover the beauty of the Mediterranean while making the most of more shallow anchorages on board this speedy carbon-sail catamaran, ideal for performance sailing. Allures features plenty of deck space for basking in the sunshine, either atop sunpads or on the trampoline. Aft lies an al fresco dining area and seating area. Delivered in 2006 by Compositeworks, 30.3 metre Allures can sleep up to eight guests in four cabins with a crew of five. She boasts a cosy main saloon with Italian styling that has a cocktail bar and sofa area, while a dining room with incredible views sits forward. Allures is managed for charter by Camper & Nicholsons, she has a weekly charter rate starting from €50,000. Discover the beauty of the Mediterranean while making the most of more shallow anchorages on board this speedy carbon-sail catamaran, ideal for performance sailing. Allures features plenty of deck space for basking in the sunshine, either atop sunpads or on the trampoline. Aft lies an al fresco dining area and seating area. Delivered in 2006 by Compositeworks, 30.3 metre Allures can sleep up to eight guests in four cabins with a crew of five. She boasts a cosy main saloon with Italian styling that has a cocktail bar and sofa area, while a dining room with incredible views sits forward. Allures is managed for charter by Camper & Nicholsons, she has a weekly charter rate starting from €50,000. Lady Soul's wide open deck spaces boasts sunpads, loungers, an al fresco dining table, barbecue and a capacious lounge area, perfect for sunset cocktails. The 30.95 metre superyacht also has a toy box brimming with gadgets and gizmos to ensure maximum fun can be had on the water. Below deck, Lady Soul can sleep up to 10 guests in five cabins with accommodation for a crew of five. Guests can unwind and catch up in a spacious wood-panelled main saloon with plenty of comfy seating and a dining area, or the elegant skylounge complete with corner sofa and office area. Additionally, she features some gym equipment on board. Lady Soul is managed for charter by Fraser, she has a weekly charter rate starting from €49,000. Lady Soul's wide open deck spaces boasts sunpads, loungers, an al fresco dining table, barbecue and a capacious lounge area, perfect for sunset cocktails. The 30.95 metre superyacht also has a toy box brimming with gadgets and gizmos to ensure maximum fun can be had on the water. Below deck, Lady Soul can sleep up to 10 guests in five cabins with accommodation for a crew of five. Guests can unwind and catch up in a spacious wood-panelled main saloon with plenty of comfy seating and a dining area, or the elegant skylounge complete with corner sofa and office area. Additionally, she features some gym equipment on board. 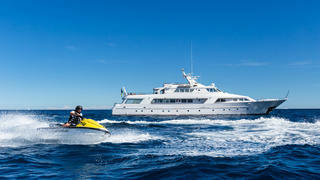 Lady Soul is managed for charter by Fraser, she has a weekly charter rate starting from €49,000. Delivered by Yener in 2009, this traditional Turkish gulet is the perfect option for a gentle winter cruise in the Eastern Mediterranean. The 36 metre luxury yacht Queen of Datca can sleep up to 10 guests in five cabins with a crew of six. Her wide open deck space is peppered with sunpads and a Bimini can be pulled out over the aft section for al fresco dining and sundowners. Additionally, a brimming water toy box can be taken advantage of by brave water babies. Below deck, a spacious wood panelled main saloon features a cosy seating area and a formal dining table, the perfect spot for a games night with the family. 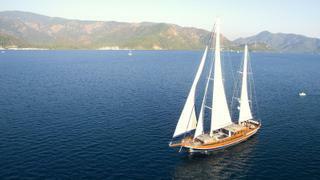 Queen of Datca is managed for charter by Ocean Independence, she has a weekly winter charter rate starting from €25,000. Delivered by Yener in 2009, this traditional Turkish gulet is the perfect option for a gentle winter cruise in the Eastern Mediterranean. The 36 metre luxury yacht Queen of Datca can sleep up to 10 guests in five cabins with a crew of six. Her wide open deck space is peppered with sunpads and a Bimini can be pulled out over the aft section for al fresco dining and sundowners. Additionally, a brimming water toy box can be taken advantage of by brave water babies. Below deck, a spacious wood panelled main saloon features a cosy seating area and a formal dining table, the perfect spot for a games night with the family. 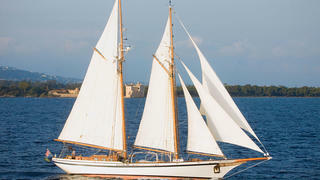 Queen of Datca is managed for charter by Ocean Independence, she has a weekly winter charter rate starting from €25,000. Turning heads in every port with her bottle green hull and superstructure, 35.39 metre Can't Remember can sleep up to 15 guests in six en-suite cabins with a crew of five. She has a master suite, a VIP, one double with a Pullman berth and two twins, each with a Pullman berth. The sixth cabin can be used for additional guests or as a children's playroom. Her contemporary main saloon is separated into two sections — a lounge with a television and soft grey sofas, adjacent to the dining area with a sleek black table and an additional television. 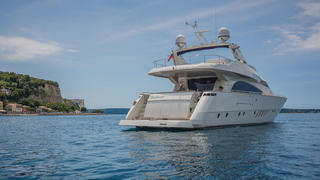 Delivered in 2004 by The Italian Sea Group and refitted in 2016, she can host barbecue lunches on the flybridge followed by an afternoon of sunbathing and cocktails atop large comfy sunpads. Additional spots for soaking up the rays can be found on the bow, while on the main deck aft, guests can indulge in more shaded al fresco dining. 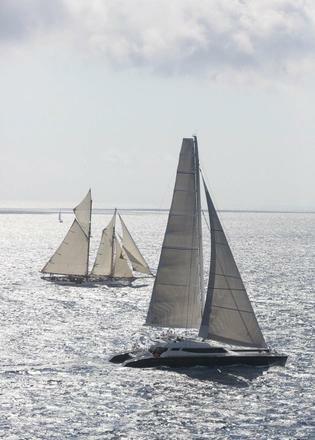 Can't Remember is managed for charter by Atalanta Golden Yachts, she has a weekly charter rate starting from €45,000. Turning heads in every port with her bottle green hull and superstructure, 35.39 metre Can't Remember can sleep up to 15 guests in six en-suite cabins with a crew of five. She has a master suite, a VIP, one double with a Pullman berth and two twins, each with a Pullman berth. The sixth cabin can be used for additional guests or as a children's playroom. Her contemporary main saloon is separated into two sections — a lounge with a television and soft grey sofas, adjacent to the dining area with a sleek black table and an additional television. Delivered in 2004 by The Italian Sea Group and refitted in 2016, she can host barbecue lunches on the flybridge followed by an afternoon of sunbathing and cocktails atop large comfy sunpads. Additional spots for soaking up the rays can be found on the bow, while on the main deck aft, guests can indulge in more shaded al fresco dining. 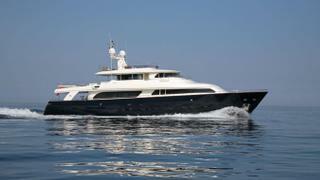 Can't Remember is managed for charter by Atalanta Golden Yachts, she has a weekly charter rate starting from €45,000. Discover the gems of the Western Mediterranean on board 30.2 metre Rapture, delivered by Southern Wind in 2007. Rapture's forward cockpit boasts a large dining table for up to eight guests alongside a long padded bench, while aft lies vast sunpads for sun worshippers to relax on, before cooling off in sparkling aquamarine waters. Below deck, up to eight guests can be accommodated in four luxurious cabins, with space for up to four crewmembers. The main saloon has a U-shaped white sofa and a formal dining table, making this a wonderful space for socialising. Additionally, guests can make use of the owner's study if there are still a few last-minute emails to send. Rapture is managed for charter by Camper & Nicholsons, she has a weekly summer rate starting from $45,000. Discover the gems of the Western Mediterranean on board 30.2 metre Rapture, delivered by Southern Wind in 2007. Rapture's forward cockpit boasts a large dining table for up to eight guests alongside a long padded bench, while aft lies vast sunpads for sun worshippers to relax on, before cooling off in sparkling aquamarine waters. Below deck, up to eight guests can be accommodated in four luxurious cabins, with space for up to four crewmembers. The main saloon has a U-shaped white sofa and a formal dining table, making this a wonderful space for socialising. Additionally, guests can make use of the owner's study if there are still a few last-minute emails to send. Rapture is managed for charter by Camper & Nicholsons, she has a weekly summer rate starting from $45,000. Delivered in 1983, Star of the Sea offers classic Benetti charm with a modern twist, having undergone a thorough refit in 2015. Currently based in Bequia, in St Vincent and the Grenadines, she is available for a combined charter with a stay and colonial-styled Bequia Beach Hotel. While on board, guests can enjoy exploring the surrounding picturesque islands, that include popular celebrity destinations Mustique and the Tobago Cays National Park. She offers excellent deck spaces for a yacht of her size with her sun deck, equipped with stylish deck chairs, the perfect hiding spot for anyone hoping to catch some rays. She also has a large table for al fresco dining and multiple comfortable seating areas, ideal for enjoying a sundowner while taking in the stunning scenery. Inside her stylish interior, complete with retro touches, offers accommodation for up to 12 guests in six cabins. Meanwhile, her crew of seven will ensure you every need is met when on board. Star of the Sea is managed for charter by IYC and she has a weekly charter rate of €49,500 per week. Delivered in 1983, Star of the Sea offers classic Benetti charm with a modern twist, having undergone a thorough refit in 2015. Currently based in Bequia, in St Vincent and the Grenadines, she is available for a combined charter with a stay and colonial-styled Bequia Beach Hotel. While on board, guests can enjoy exploring the surrounding picturesque islands, that include popular celebrity destinations Mustique and the Tobago Cays National Park. She offers excellent deck spaces for a yacht of her size with her sun deck, equipped with stylish deck chairs, the perfect hiding spot for anyone hoping to catch some rays. She also has a large table for al fresco dining and multiple comfortable seating areas, ideal for enjoying a sundowner while taking in the stunning scenery. Inside her stylish interior, complete with retro touches, offers accommodation for up to 12 guests in six cabins. Meanwhile, her crew of seven will ensure you every need is met when on board. Star of the Sea is managed for charter by IYC and she has a weekly charter rate of €49,500 per week. If you are looking for adventure this holiday season then consider chartering classic sailing yacht Lady Thuraya in the Maldives. The 31 metre sailing yacht offers exceptional value for money for up to eight guests in the picturesque islands and is still available for Christmas and New Year. Delivered in 1982 she underwent a thorough 18-month refit in 2009. She still maintains her classic style but Lady Thuraya has all the modern amenities you would expect from a luxury charter yacht, such as flat screen TV’s and inbuilt stereos throughout. She also has a packed toybox which is perfect for making the most of the Maldives’ gin clear waters ­– including diving equipment, water-skis and a selection of towables. If you want to get your children into sailing she also has the option to carry an Optimist dingy and Laser sailing boat on board. 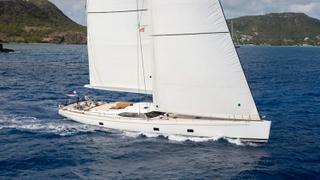 Lady Thuraya is managed for charter by Northrop & Johnson and her weekly charter rate starts from €40,000. If you are looking for adventure this holiday season then consider chartering classic sailing yacht Lady Thuraya in the Maldives. The 31 metre sailing yacht offers exceptional value for money for up to eight guests in the picturesque islands and is still available for Christmas and New Year. Delivered in 1982 she underwent a thorough 18-month refit in 2009. She still maintains her classic style but Lady Thuraya has all the modern amenities you would expect from a luxury charter yacht, such as flat screen TV’s and inbuilt stereos throughout. She also has a packed toybox which is perfect for making the most of the Maldives’ gin clear waters ­– including diving equipment, water-skis and a selection of towables. If you want to get your children into sailing she also has the option to carry an Optimist dingy and Laser sailing boat on board. Lady Thuraya is managed for charter by Northrop & Johnson and her weekly charter rate starts from €40,000.